ATTLEBORO, Mass. 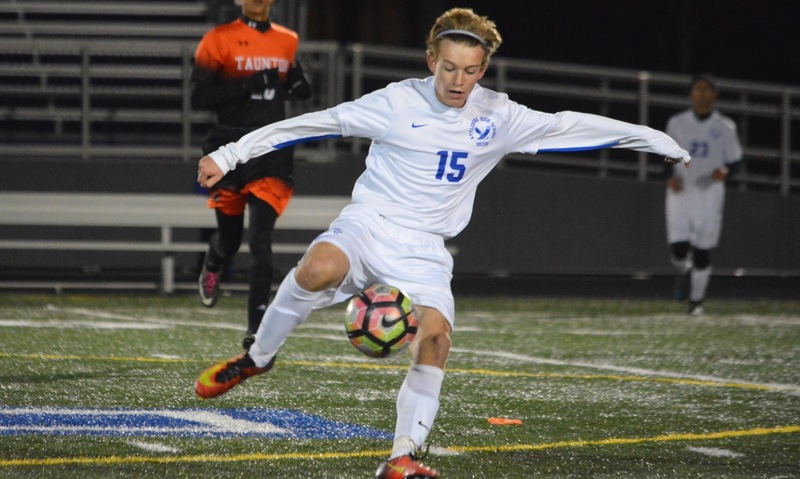 – As the final minutes of Saturday evening’s game between Attleboro and Canton ticked down, it looked as though the teams were destined for a scoreless draw. But with just under six minutes to play, Attleboro senior Tyler Treichler got on the end of a set piece service and used his head to tuck the ball on the inside of the post and give the Bombardiers a 1-0 win in both team’s first game of the season. Senior Harry Lancaster and Treichler teamed up throughout the game to stifle the Bulldogs’ offense while Canton center backs Danny Hartnett and Matas Leveckis limited Attleboro’s chances. As the game ticked into the 75th minute, the Bombardiers earned a free kick near the corner flag. Junior Zach White played it short, only to get it back immediately. He drove a cross to the back post and Treichler was able to jump up in a sea of players and get his head to the ball, putting it just inside the post, making it nearly impossible to stop. 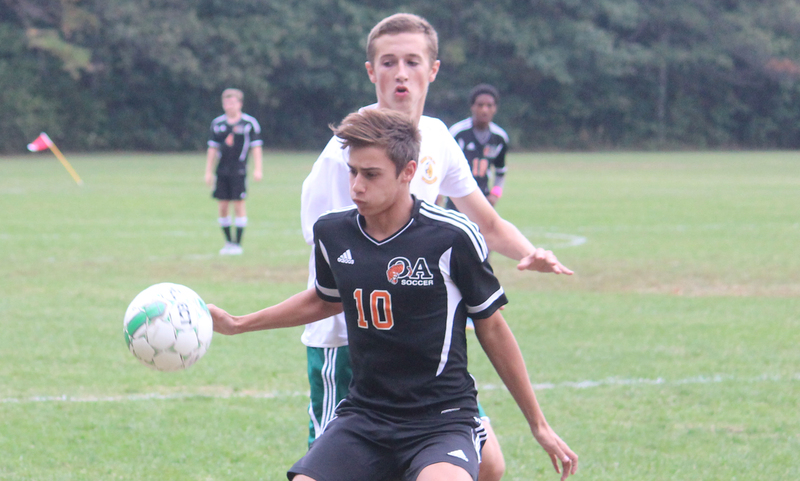 “We’ve been sending the two guys from the back up for corners and set pieces because they can head the ball, so that paid off,” Attleboro head coach Peter Pereira said. “We have a good team and the kids are working hard, that’s what we we are. We’re young but we work hard. Each team had just once serious chance in the first half. Lancaster’s low free kick to the near post was deflected to freshman Michael Russo in the 8th minute, but his shot on frame went right at Canton goalie Abe Garber. Canton nearly took the lead just seconds later off when Paul Corcoran took off down the right flank, centering a pass for Ben Waterhouse but Attleboro goalie Nick Hasenfus came off his line and just got in front. The Bulldogs started off on the front foot in the second half, finding a chance in the 47th minute, Corcoran sent in a low cross to the near post, where Cole Duserick got a touch on but the ball spun just out of the reach for Waterhouse to get a clean shot and it slipped wide. 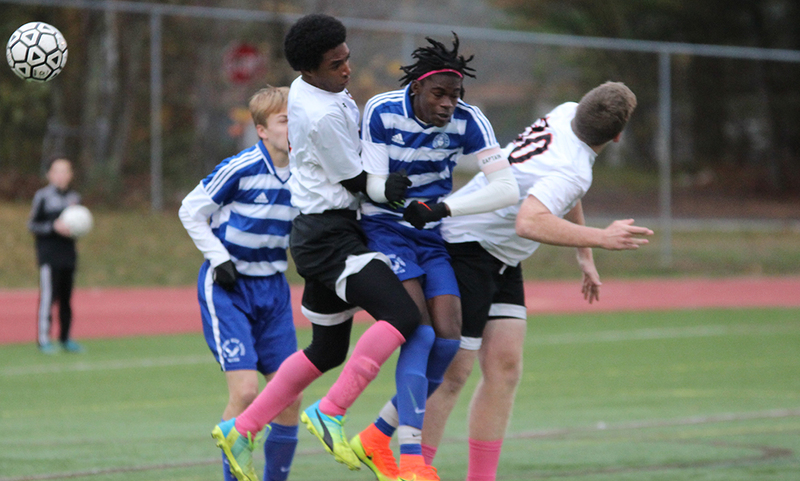 Attleboro had a chance midway through the second half when Devin Andre combined with Ahijah Joseph at the top of the area but Andre’s shot went over the bar. 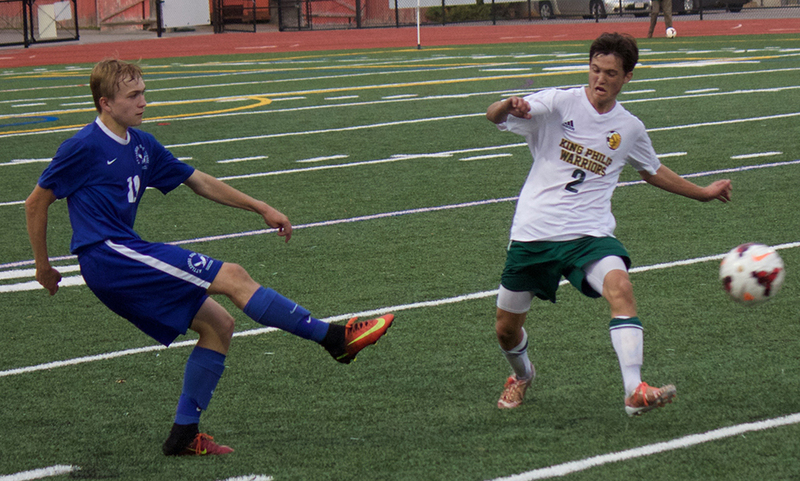 Canton’s Jake Verille made a nice run in the 65th minute into the final third but his shot was saved by Hasenfus. Two minutes later, White played Connor Dunn wide and his cross was met at the far post by Nick Lawrence, bit his bid back across goal went wide. Lawrence’s shot three minutes later was stopped by Garber as well. That led to Andre going for a 50/50 ball on the right sideline, earning a free kick just by the corner. That led to White’s service and Treichler’s winner. 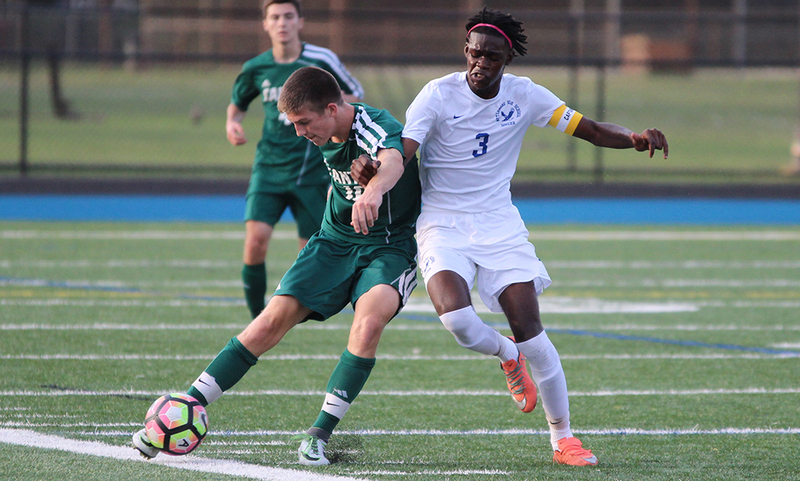 Attleboro’s defense was bolstered by Lancaster, who has made the switch from an attacking option to a center back for his senior year. It seemed anytime that Canton had something going in the final third, Lancaster was there to cause a problem. 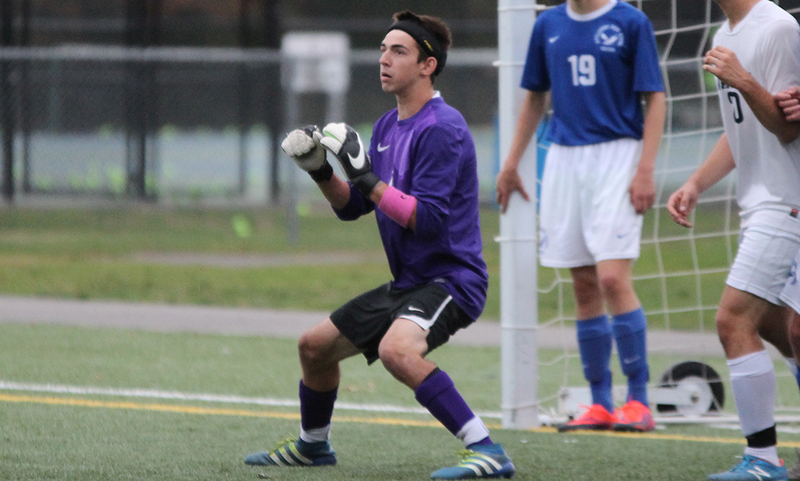 Attleboro boys soccer (1-0-0) will look to make it two in a row with a trip to Stoughton (0-1-0) on Tuesday. 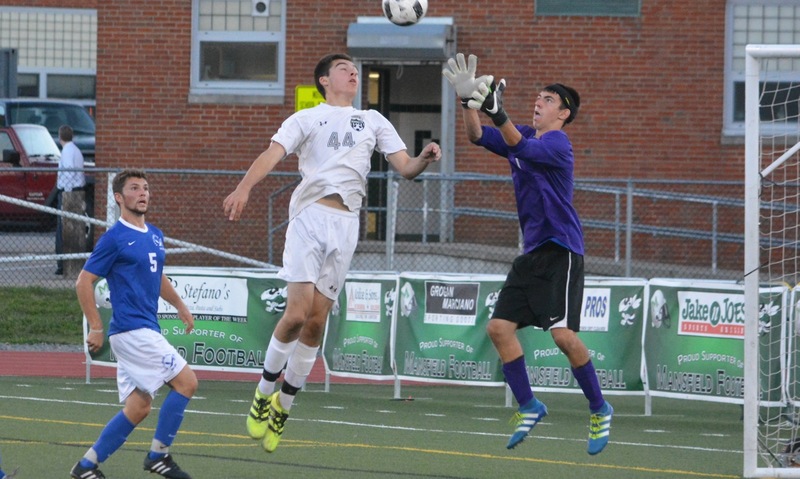 Canton (0-1-0) will be back in action on Friday when they travel to King Philip (1-0-0).